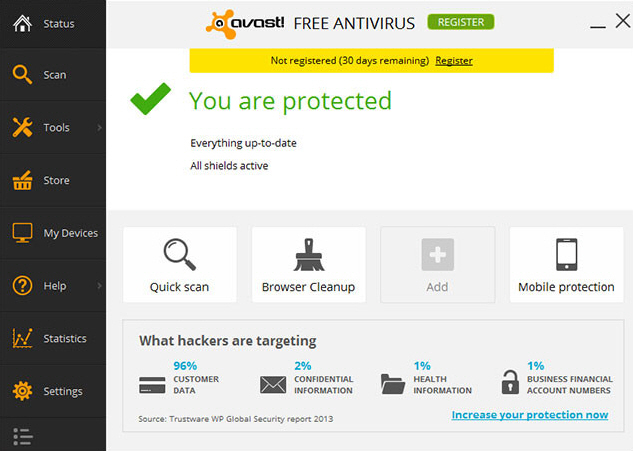 Avast Free Antivirus 2014 is now available for download.What’s new in this version? Improved cloud scanning features and crowdsourced analysis. new SafeZone for more secure online shopping and banking. Rescue disk – allow users to create a bootable CD or flash disk. Control and manage all protected devices directly from the Avast console. improvement in the Software Updater and Browser Cleanup tool.